REF1059: This very well maintained Bavaria 42 soft top - VAT paid motor yacht - is powered by Volvo Penta 600 IPS - 2 X 435HP with only 350 operating hours. Fitted with generator Onan 8KW, new gel batteries, 4 solar panels, new liferaft, teak cockpit and platform, dinghy, Air Condition, aft deck enclosure covers, TV & stereo and other accessories and amenities. Two cabins and two heads are offered to her four guests. 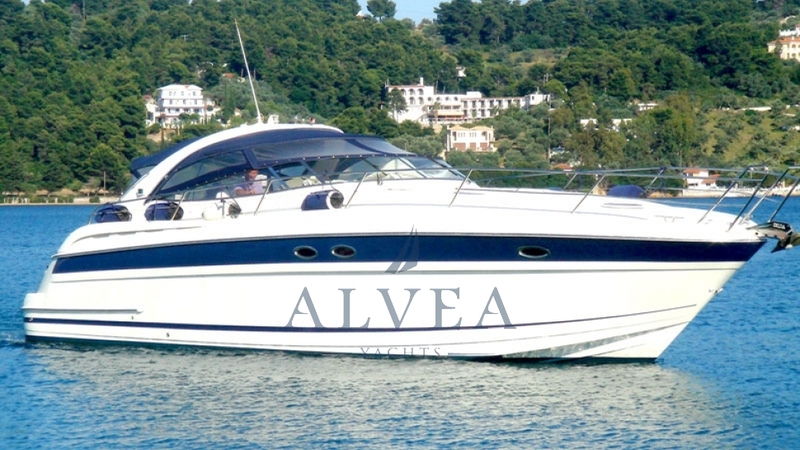 You are welcome to contact Alvea Yachts Brokerage for additional information about this Bavaria 42 ST motor yacht.